Even a month after banning unregulated deposits, some questions are still unanswered whether deposits taken by jewellers from customers is acceptable especially when jewellers are not regulated. Jewellers initially feared that the ban is applicable to them also as the monthly deposit schemes run by them remained unregulated. The jewellers have, however, now re-started accepting deposits after discontinuing monthly deposit schemes for almost two weeks early this month. Gold jewellers continue with several monthly deposit schemes to improve liquidity for working capital and facilitate customers’ redemption for jewellery purchase on maturity. A Tata venture Titan Company which sells Tanishq brand jewellery and fashion accessories runs a “Golden Harvest” scheme for customers to deposit a minimum of Rs 2000 per month for a minimum period of 10 months. The company offers a discount equivalent to 55 – 75 per cent of the first instalment depending upon customer’s parameters at the time of redemption of the scheme in 11th month. Similarly, Tribhovandas Bhimji Zaveri (TBZ) offers a scheme for customers to pay a minimum Rs 1000 per month for nine months on which the company offers 0.75 per cent of the first instalment in tenth month. Another jeweller Waman Hari Pethe offers equivalent to one instalment as an incentive to customers on their regular deposits of 12 months. Other jewellers also run similar schemes with varied luring offers to customers. “By definition, all deposits accepted by jewellers will fall within the purview of the Ordinance. Hence, there is a need for the government to look at instances where intent is not to cover them within the definition of deposits. 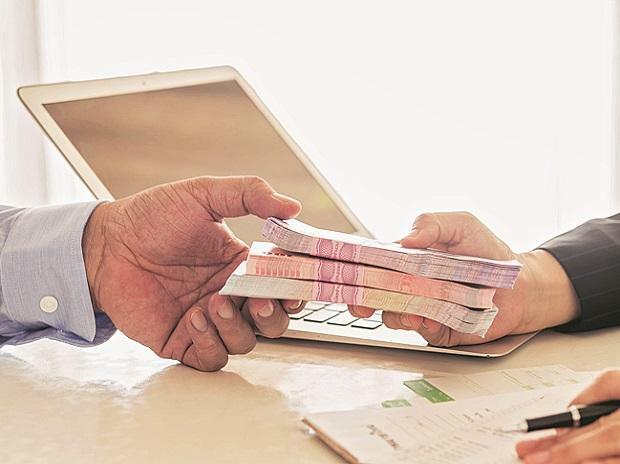 There should be a schedule prescribed to carve out exceptions or some monitory limit to be fixed for instances like loans accepting from friends or jewellery schemes,” said Abhishek A Rastogi, Partner, Khaitan & Co. The Ordinance promulgated by the President of India in February defines a deposit as an amount of money received by way of an advance or loan or in any other form, by any deposit taker with a promise to return whether after a specified period or otherwise, either in cash or in kind or in the form of a specified service, with or without any benefit in the form of interest, bonus, profit or in any other form. This language suggests the ordinance covers deposits jewellers are taking and that is disallowed. However, jewellers found the way out. They show the advance sales against which they are getting payment in monthly instalments. “All deposits settled within one year without accompanying interest are legal. Following the new Ordinance, jewellers have changed their strategy for treating such deposit schemes. Jewellers now adjust the interest by giving away discount largely towards making charges,” said Surendra Mahta, National Secretary, India Bullion and Jewellers Association (IBJA). Following the Ordinance, jewellers prepare a tentative bill of the sum equivalent to the monthly deposits and interest on maturity for a customer on the day of enrolment of the scheme. Once the tentative bill is generated which the concerned jeweller keeps, all deposits mentioning the bill number would be considered as advances under the law. Smartly, jewellers do not mention the interest component on the bill to escape the regulatory glare. In fact, the interest component works out to around 8.33 per cent which is very much within the purview of the regulatory threshold of 10 per cent. Repeated efforts to reach Titan Company did not elicit any response. “It is clear that various jewellery retail schemes under which jewellers accept advance payments from the customers shouldn’t come under the purview of the ordinance. Under such schemes, jewellers accept payments for a tenure of few months from customers and at the end of the tenure, customers purchase jewellery equivalent to the value of the total payment. It’s like advance against sales. So, such advance- against-sales schemes of 12 month-duration shouldn’t come under the ambit of the ordinance,” said Ahammed MP, Chairman, Malabar Gold & Diamonds.